Every two years, around this time, I come to the blog and write an article that has more of an emotional vibe. This article is all about the gorgeous little girl you see on this picture, her name is Talia and she is basically the definition of pure bliss, joy and happiness. Talia is born with a complex heart condition and has been living life to the fullest ever since. 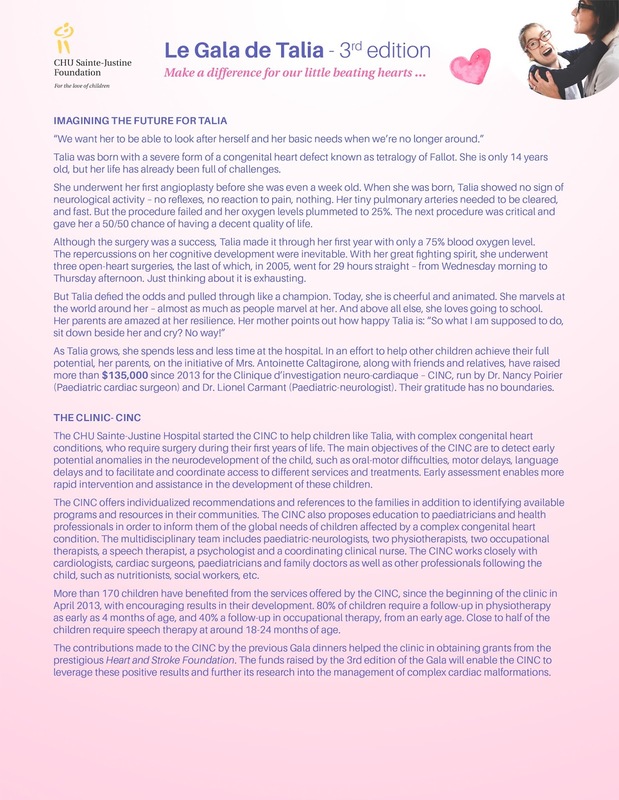 The Fondation CHU Sainte-Justine has done so much for my family and Talia, that every 2 years, a Gala in her honour is thrown to be able to raise funds for the CINC (Clinique d'Investigation Neuro-Cardiaque) of Sainte-Justine. 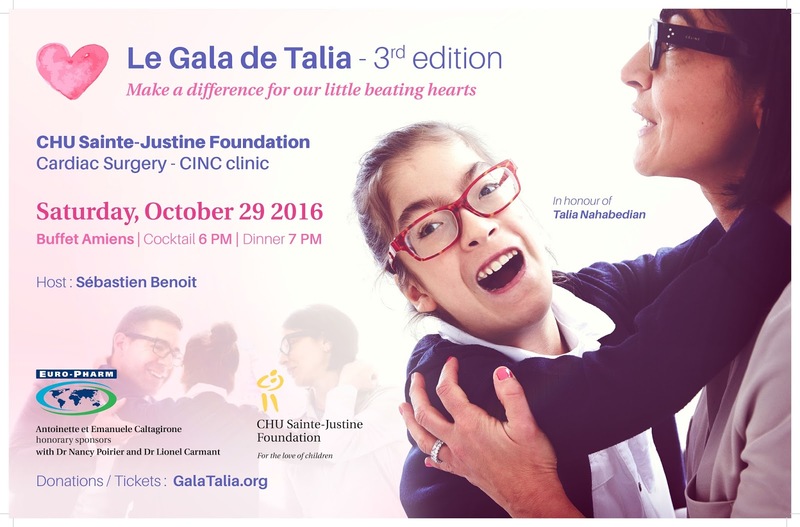 This upcoming Saturday October 29th, le Gala de Talia is being held for its 3rd edition and we want to raise BIG. In 2014, we managed to raise more than 80 000$ and this year, we really need to beat that number. As the motto of this campaign, let's make a difference, for our little beating hearts ! The staff here is actually competent and friendly, unlike other places with their pretentious staff guys. The place was magnificent and modern, and the seating was comfy. Truly, the food at Chicago event space was heavenly and as a visitor I am glad for finding this one.